At Butchers Sundries it is our policy to ensure that products (where applicable) have a minimum available shelf life of 4 weeks at the point of sale. All Collagen Casing products have a minimum available shelf life of 12 weeks at the point of sale. Description This Fillet Glove assures safe filleting and a sure grip. The glove is machine washable to keep glove sanitary for years of safe use. Main Color :Black (Not easy Dirty) Size: One Size Fits Both Left and Right Hand. Included in the Package: > 2 x Fillet Gloves(1 pair) Country/Region of Manufacture China Brand Unbranded/Generic Style Fillet Glove Main Colour Black MPN Does Not Apply EAN Does not apply. FILLETING GLOVE. Cut-resistant stainless steel core, wrapped with an interwoven polyester & vinyl material. Can be worn on left or right hand. Dishwasher & washing machine safe. This new and unique design is light weight, flexible, comfortable and safe Great in the kitchen or the garden! Easily wash in laundry or dish washing machines. This glove has many uses. 1 glove only. Description: This Fillet Glove assures safe filleting and a sure grip. The glove is machine washable to keep glove sanitary for years of safe use. Color :Black (Not easy Dirty) Size: One Size Fits Both Left and Right Hand. Included in the Package: > 2 x Fillet Gloves (1 Pair) MPN Does Not Apply Brand Unbranded EAN Does not apply Country/Region of Manufacture China. FOR FILLETING YOUR FISH THIS IS A MUST SO YOU DON'T CUT YOURSELF. THIS GLOVE IS GREAT FOR HANDLING LIVE AND DEAD FISH. GREAT TO USE TO HOLD FISH TO UN - HOOK THEM. No1 Fishing Tackle Online. Reels - Carp / Pike. Carp Fishing Accessories. Rods - Carp Fishing Kits. Line - Coarse Carp. Carp Rigs Tubing. Luggage - Carp. Rods - Coarse Carp. highly-advanced construction combines a cut-resistant stainless steel core wrapped in a hi-tech interwoven polyester and vinyl material. 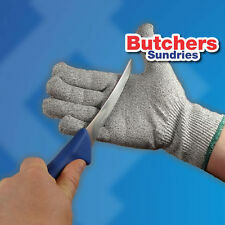 Can effectively protect your hands from hurt by cutters or other sharp blades. These cut resistant gloves are made from ultra high molecular weight special polyesterl. They are safe to use with food and can drastically reduce the risk of accident when handling sharp blades. TALON FILLETING GLOVE. This new and unique design is light weight, flexible, comfortable and strong. This Glove is also knitted with spandex which is more stretchy and flexible as well as having knitted fiberglass to give better grip when in use. This new and unique design is light weight, flexible, comfortable and safe Great in the kitchen or the garden! Easily wash in laundry or dish washing machines. This glove has many uses. ☆☆ 1 glove only ☆☆. Material: Built with stainless steel and high quality Polypropylene fibre reduces the harm by sharp materials such as knife and blades. The high polyester with stainless steel material provides a flexibility and comfort making it easy to handle when working, suitable to use at many jobs. Butchers Sundries. A seamless knitted glove constructed of a revolutionary blended yarn, combining ultra-high density Dyneema with ultra-light coated stainless steel fibre. 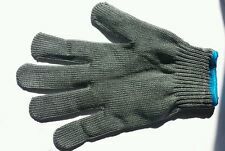 Supplied as a single glove, fits either left or right hand. 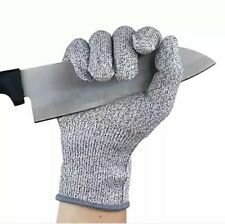 Leeda Filleting Glove. Condition is New with tags. Dispatched with Royal Mail 1st Class. Cortland Filleting Glove Fishing. Condition is New with tags. Dispatched with Royal Mail 1st Class.